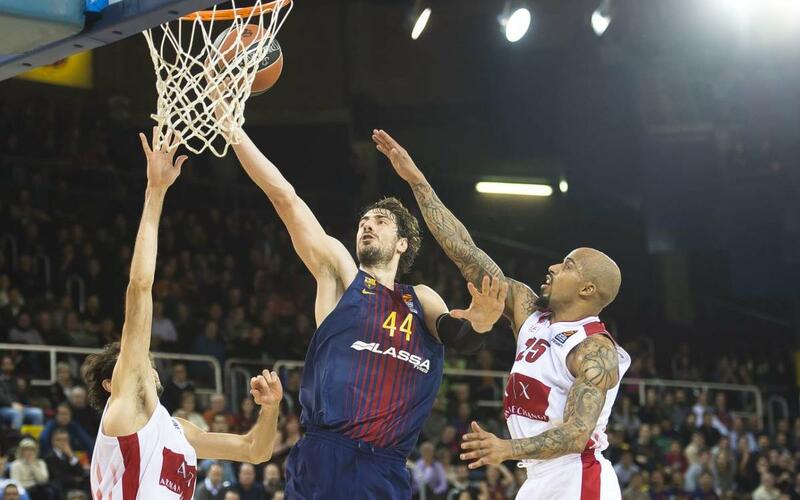 FC Barcelona Lassa were unable to take the win in the 21st game of the Euroleague regular season after going down to a 83-81 defeat against AX Olimpia Milan at the Palau Blaugrana. The game against the Italian side went right down to the wire with a score from Bertans in the final seconds deciding the game in the visitors favour. Sito Alonso’s team had the better of the early exchanges and after ten minutes they were 25-15 up. An in form Koponen allowed them to retain that lead at 42-32. However, Goudelock, Gudaitis and Pascolo took charge of proceedings for Milan to give the Italians the lead at 64-62 with 30 minutes gone. Nevertheless, the result was still up in the air right until the death. Hanga brought Barça level at 79-79 but Gudaitis put Milan back ahead 81-79 with 24 seconds left. Tomic from the free throw line brought Barça level again but Bertans’ late score consigned the blaugranes to defeat and leaves them with a 7-14 record in the Euroleague.